Give birds a place to refresh and rejuvenate with this beautiful Bird Bath Art Pole. 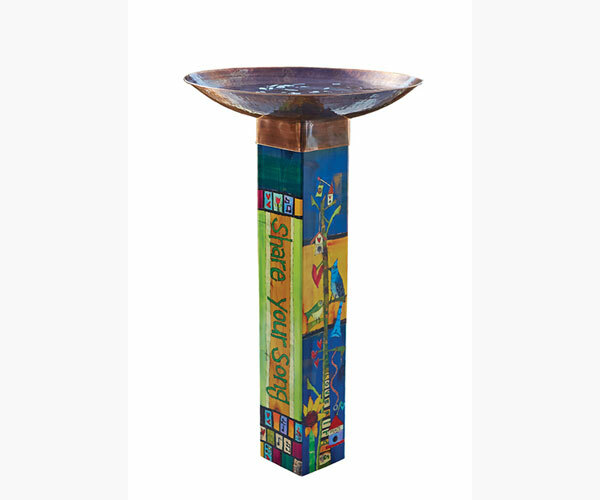 This beautiful birdbath is hand-hammered copper-plated stainless steel and fits securely on top of the USA made 5 X 5 vinyl laminated art pole. The hand painted maintenance-free design is laminated and will resist fading and year round weather conditions. 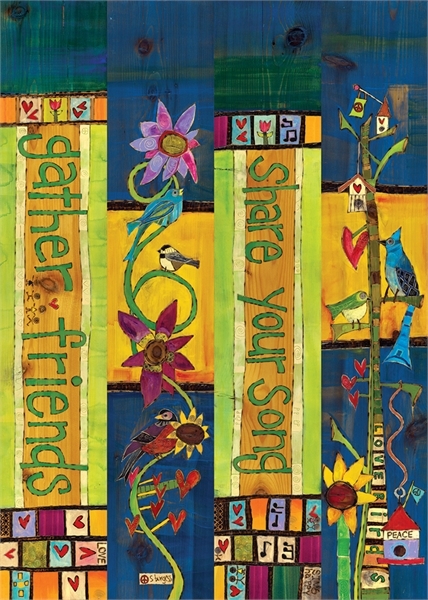 The Vinyl Art Pole base was designed by artist Stephanie Burgess. No digging required with easy to install pole and auger hidden underneath vinyl art pole. Easy setup in just seconds.